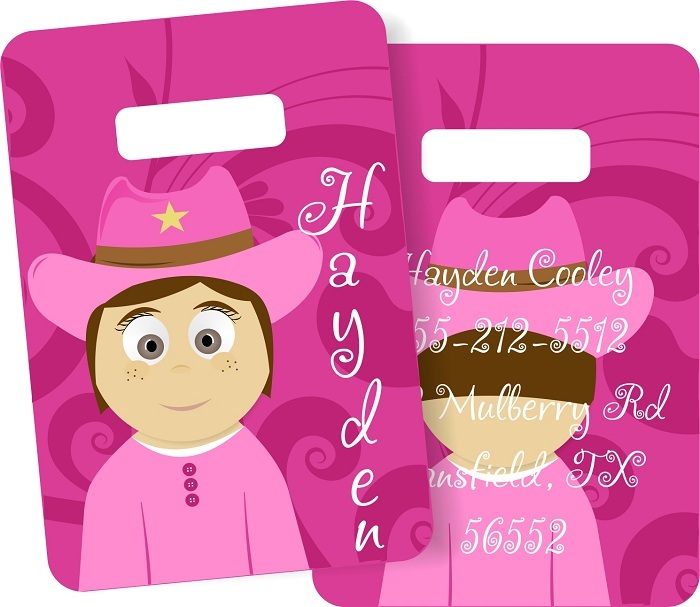 Our bag tags are available in laminated or premium, hard plastic. Our laminated tags are made of thick, heavy-duty 12 mil laminate, are strong enough to withstand heavy-duty use. Measures 3.5" x 2.5".